Q: Can you describe that dust for us? A: Grayish, like gray -- you know. Q: Did you see that in the area? 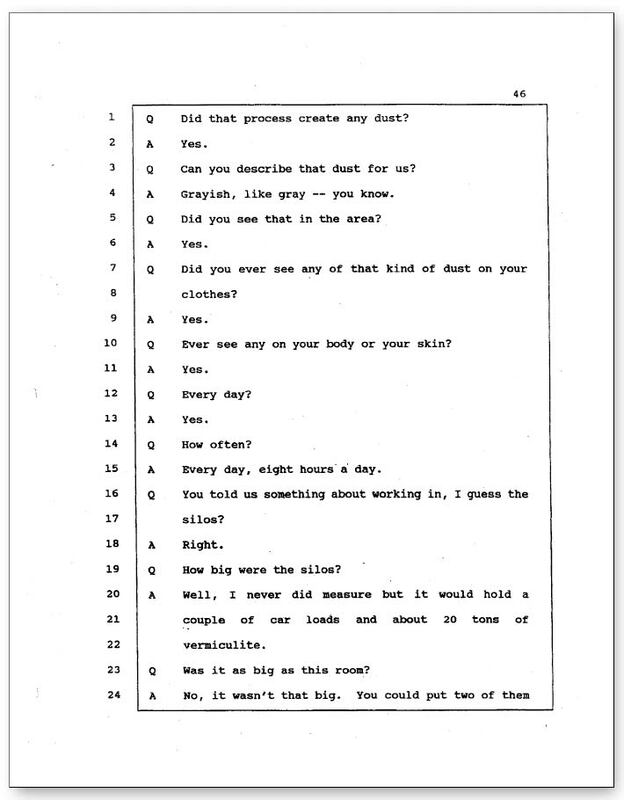 Q: Did you ever see any of that kind of dust on your clothes? Q: Ever see any on your body or your skin? A: Every day, eight hours a day. Q: You told us something about working in, I guess the silos? Q: How big are the silos? A: Well, I never did measure but it would hold a couple of car loads and about 20 tons of vermiculite. Q: Was it as big as this room?